Armistice in Europe 1918. 9 million reasons to remember Nov 11, not counting the civilian deaths. More than 9 million combatants were killed, due largely to great technological advances in firepower without corresponding ones in mobility. It was the second deadliest conflict in history. … Of the 60 million European soldiers who were mobilized from 1914–1918, 8 million were killed, 7 million were permanently disabled, and 15 million were seriously injured. Germany lost 15.1% of its active male population, Austria–Hungary lost 17.1%, and France lost 10.5%. About 750,000 German civilians died from starvation caused by the British blockade during the war. By the end of the war, famine had killed approximately 100,000 people in Lebanon. The best estimates of the death toll from the Russian famine of 1921 run from 5 million to 10 million people. By 1922, there were between 4.5 million and 7 million homeless children in Russia as a result of nearly a decade of devastation from World War I, the Russian Civil War, and the subsequent famine of 1920–1922. 9 million combatants killed in roughly 4 years, that’s about equivalent to the population of Lima. 9 million reasons to delete those chain emails about the greatness and nobility of war. Today is not a day for politics, but what worries me at times is that in high school our history teacher argued that the 20th century didn’t start until after World War One ended, that the war was in many respects the result of out-dated thinking between the powers of Europe. Similarly, you could argue that corporate and political culture in the world’s capitals today is still stuck in 20th century thinking. 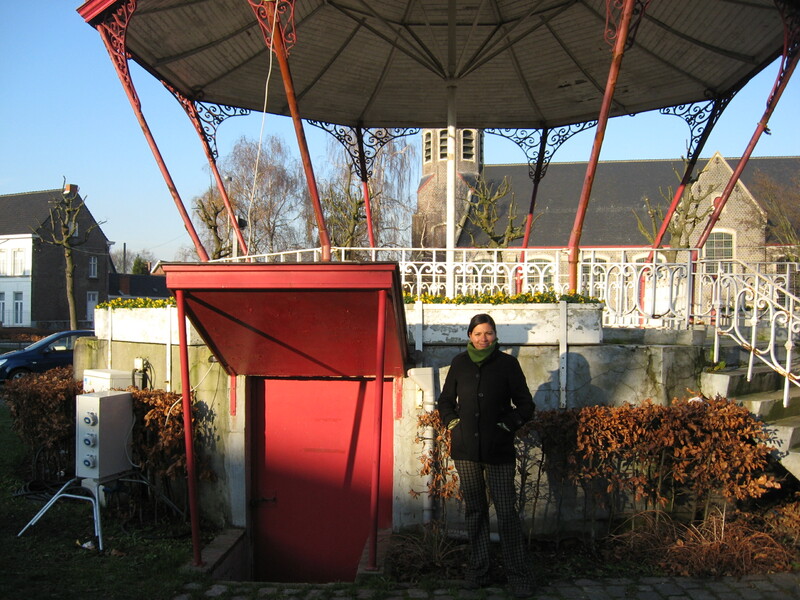 Patricia standing by a bombshelter in my hometown in Belgium, I believe this is a World War 2 bunker. This entry was tagged armistice, war, World War One, WW1. Bookmark the permalink.